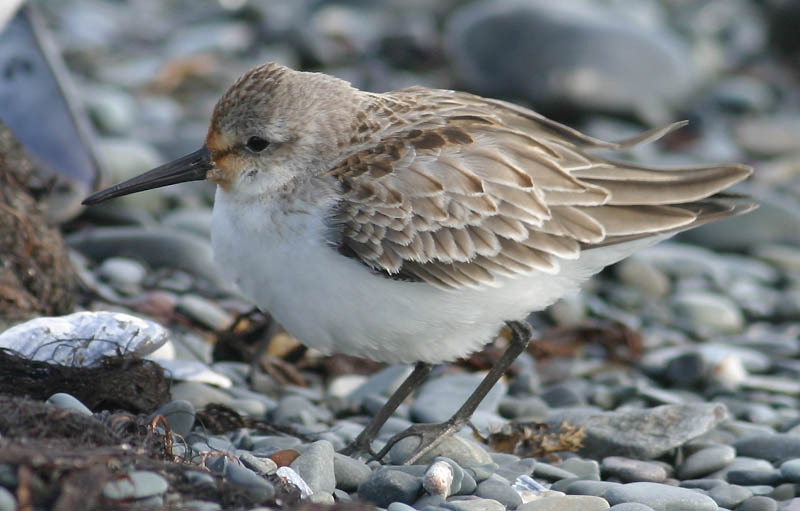 This Western Sandpiper at Spaniards Bay, CBN from September 7-8, 2005 was the third and most recent record or Newfoundland. Origins: Breeds only in northwest Alaska and the Siberian Peninsula, wintering widely along the Pacific coast (south from Washington), Mexico, the Gulf Coast and the Atlantic coast south from the Carolinas. It is a rare visitor to Atlantic Canada. Record Details: Three confirmed records for Newfoundland: (1) Kilbride, September 15, 1988; (2) Portugal Cove South, September 8-9, 2000; and (3) Spaniard’s Bay September 7-8, 2005. A small number of other reports have been unconfirmed.